The Tibor de Nagy Gallery is pleased to present an exhibition of paintings and works on paper by the greatly admired painter Jane Freilicher, who since the 1950s has pursued a distinctive and intimate painterly realism. The exhibition marks the artist’s twenty-first with the gallery. The works in the exhibition span almost fifty years, from 1963 to four new paintings completed this year. The exhibition will explore the artist’s dedication and constancy to her subject, the views from the windows of her Greenwich Village apartment and her Long Island studio. Freilicher has been exploring these for decades, finding herself an unintentional witness to the ever-changing New York skyline and the disappearing open fields of Long Island landscape. 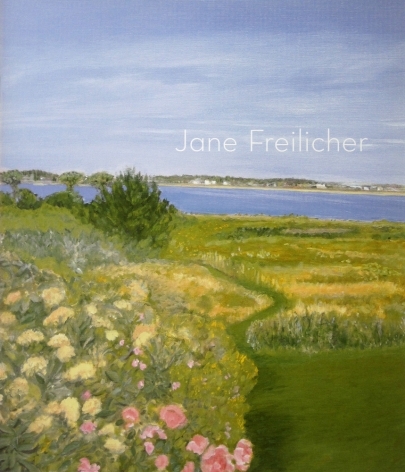 Jane Freilicher’s practice of placing flowers in the foreground of her landscapes is on display once again in her current show, which includes two brilliant new paintings, Harmonic Convergence and Hydrangea, the former composed at her Fifth Avenue apartment, the latter at her summer home in Water Mill. 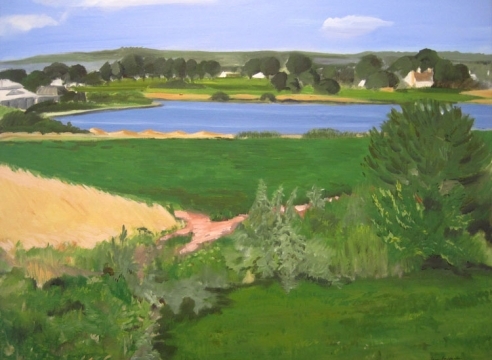 Freilicher has been painting in these locations for half a century, yet her eye and the landscape she espies are constantly changing. So too are the bouquets she places front and center in her canvases as a kind of beautiful dare, which today often means daring to be beautiful… This show’s sampling of earlier paintings reveals some shifts in style, but mostly a constant preoccupation with beauty, rendered with discernment and wit.